Industrial Fixtures - EnviroSense, Inc.
We are capable of producing any type of high-quality rack or storage device for your ultrasonic and precision cleaning needs. 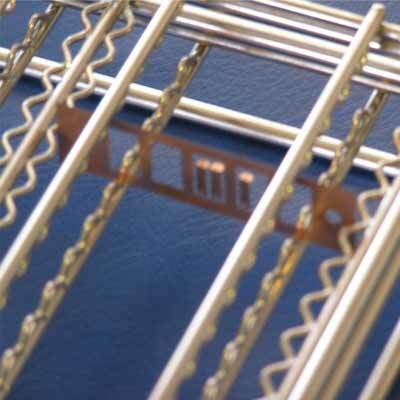 Each basket is buffed and Electro-polished to enhance its corrosive resistance. 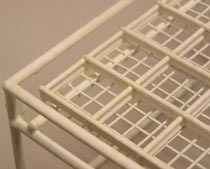 Precision Baskets have handles and are stackable. 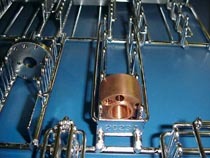 Baskets with hinged lids have safety latches. We also have a wide range of sizes on our spin drying baskets. 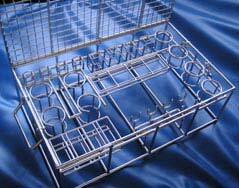 Spin dry baskets for Desco, Atotech, New Holldand, and Nobles. 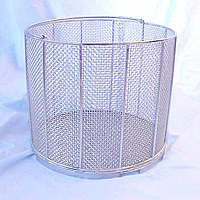 These baskets are 304 stainless with mesh or perforated. Custom sizes available.